Greece offers a great variety of choices for the traveler who wishes to discover what this Mediterranean country has to offer. Each island has its own unique blend of architecture, beaches and sparkling waters. The mountains and rivers cater to outdoor activities such as hiking, canoeing and rafting among others. The monasteries snuggling against cliff tops promise a breath of serenity and breathtaking views. But one image that brings the past into the present and is a popular choice among tourists, has to do with one animal that has been part of Greece’s history. Today’s donkey rides on the various islands and mainland give the visitor a chance to explore the countryside at a more leisurely pace, while imbuing it with a nostalgic note from the past. Donkeys have been, since ancient times, the faithful beast of burden of the farmer, builder and the locals as a means of transport. Each family living in rural areas owned a donkey which was mainly used for moving and agricultural activities. Before roads were paved, it provided the only safe means of negotiating narrow and winding paths where no car would fit. Also, traditionally, brides would ride on a donkey’s back to the church and back. Today they are still used by villagers but have mainly gained popularity as a tourist attraction. 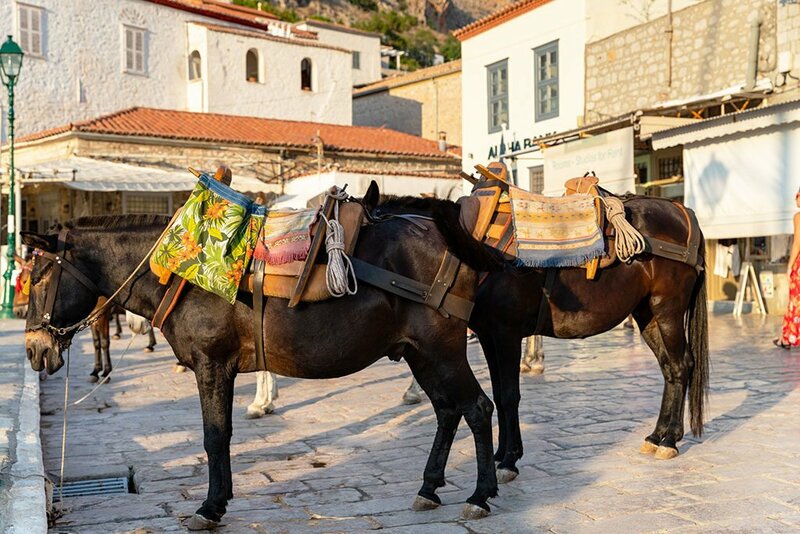 On the island of Hydra where cars are not allowed, donkeys and mules used to carry large loads, baggage and heavy shopping to people’s homes on the hills. Today, the clop-clop of hooves on the stone pavement gives the visitor a chance to explore the winding streets and alleyways and architecture at a slower pace. 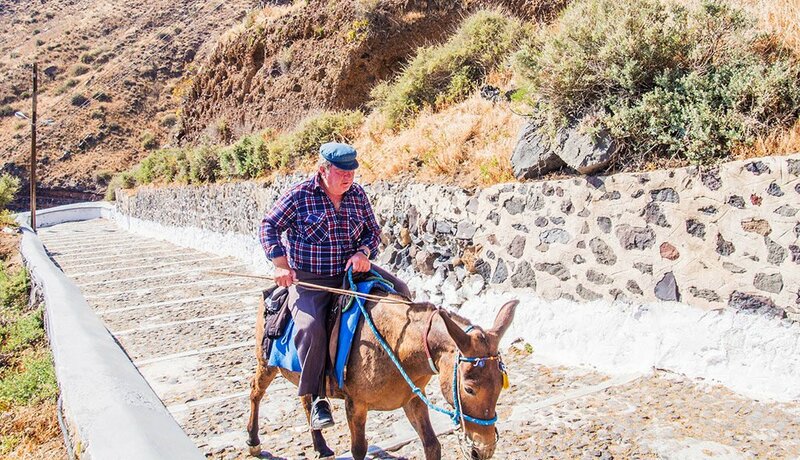 The island of Santorini also has guided tours on donkeys around the island, and up and down the 600 steps to get to Thira. You can also travel from Oia to Ammoudi in the same way. 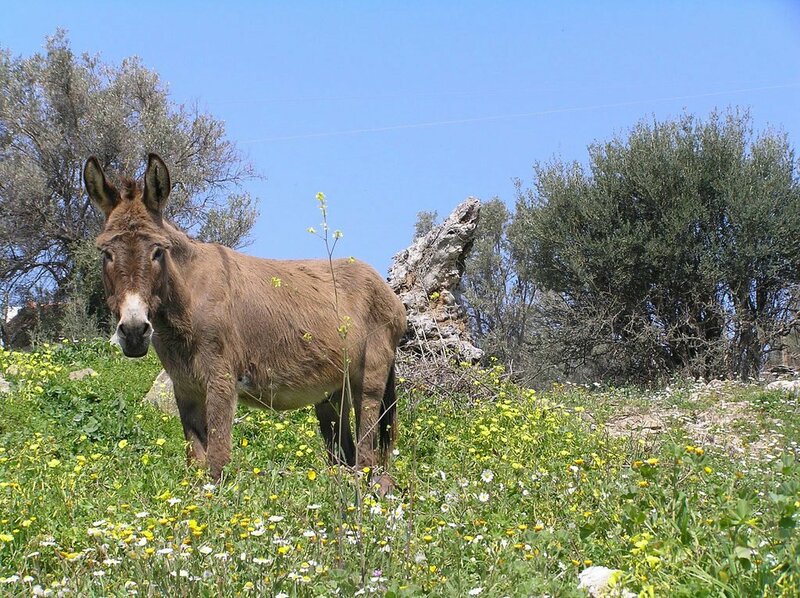 Paros also has donkey rides with tours starting from Paroikia to Petaloudes or the Valley of the Butterflies; there is also the chance to discover the countryside behind Paroikia. 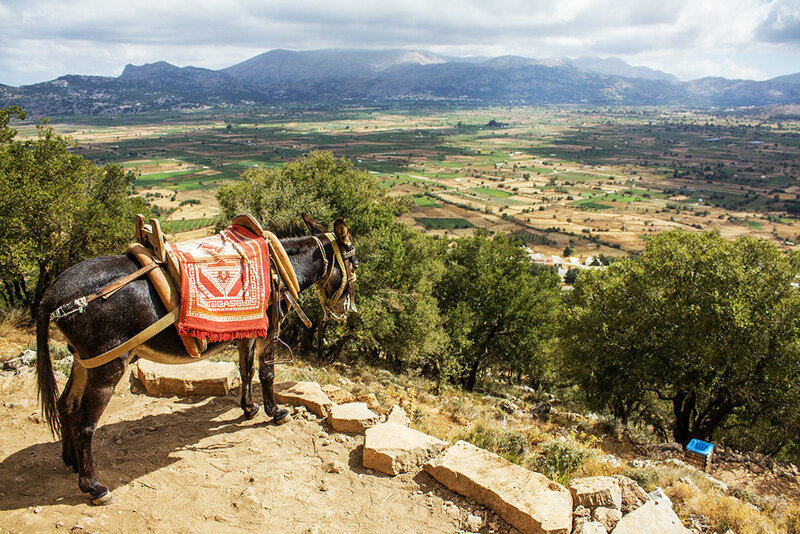 Crete is also known for its diverse donkey routes whether it is exploring the mountains around Plakias or the countryside and beaches of Damnoni and Ammoudi. In the older days, donkeys used to carry the wary traveler up the tortuous cliff paths of Meteora to the various monasteries. Recently, there has been an outcry about the condition of the donkeys used, especially in Santorini, with growing pressure for a more responsible and humane treatment of the animal. It is without doubt that visitors to Greece will come across this sympathetic and patient companion in their wanderings across the country. The donkey remains a stable and endearing part of this journey.